On a tiny island at the end of the world, a lonely weather station is slowly tumbling off a cliffside. It’s a perfect metaphor for the state of our planet. Say hello to Vize Island, Russia. It won’t be around much longer. 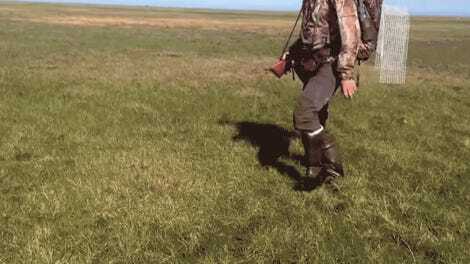 You’re forgiven for not having heard of Vize Island—it is a truly desolate slip of rock, permafrost, and snow located in the middle of the Arctic ocean at the northern extent of the Kara Sea. The closest neighboring land mass, Ushakov Island, sits some 87 miles to the north. 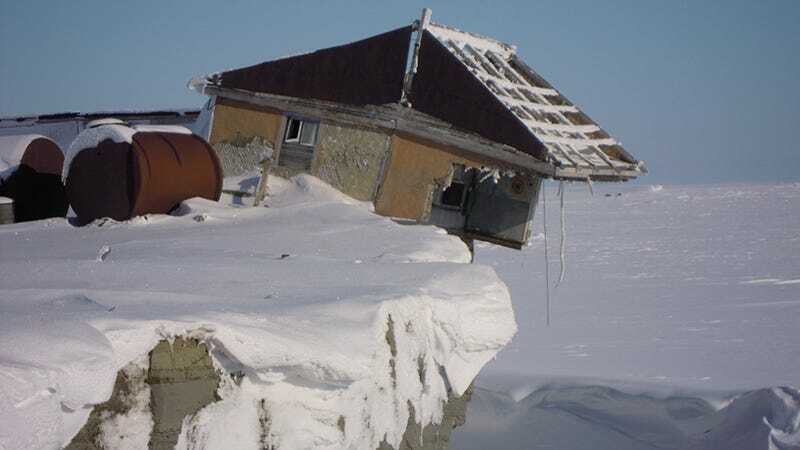 A few crumbling vestiges of human society aside, Vize Island is the haunt of walruses, ivory gulls, and polar bears. Soon, much of this land could return to the sea. When Russian glaciologist Alexander Aleynikov examined satellite images of the island in preparation for the designation of a new federal nature reserve, he noticed something astonishing. Between 2009 and 2016, a stretch of Vize Island’s shoreline had fallen back some 242 feet (74 meters). It’s one of the fastest eroding coastlines on the planet. Why is Vize Island being gobbled by the ocean? According to the WWF, natural erosional processes are being accelerated by climate change. Several record-smashingly hot summers have caused the island’s permafrost soils to melt and buckle. Meanwhile, the soggy shoreline is being assaulted by increasingly powerful waves, fueled by more heat energy in the ocean. To top it all off, there’s sea level rise. It’s a small microcosm of a transformation taking place across the Arctic, which is heating up at roughly twice the globally average rate. From zombie anthrax outbreaks to bouncy soil to catastrophic mega fires in places that shouldn’t burn, things are pretty weird up north right now, and they’re going to get weirder.